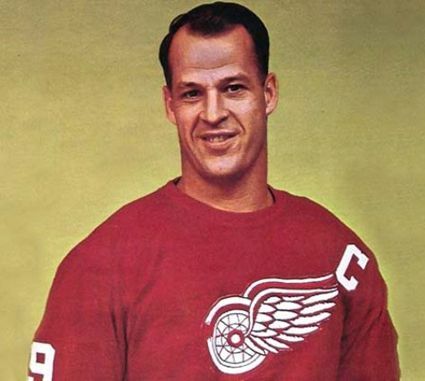 With the passing of hockey legend Gordie Howe on Friday, we felt just one post was not enough to pay tribute to one of the greatest players in hockey history, so today we begin Gordie Howe Week here at Third String Goalie. Howe, born in 1928 as one of nine siblings, began to play organized hockey when he was eight years old and grew to six feet tall by the time he reached his mid teens. 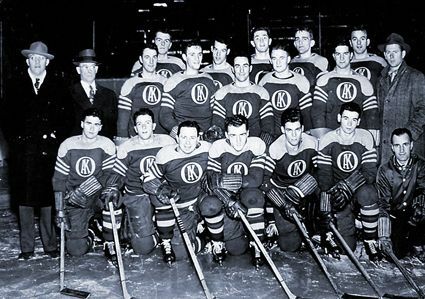 He attended the New York Rangers training camp in Winnipeg at the age of 15 and was offered a chance to sign with the Rangers organization, but did not feel their development plans for him were a good fit and returned home for the 1943-44 season. 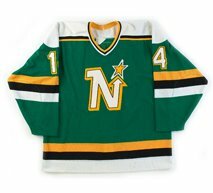 Late in 1944, he was noticed by a Detroit Red Wings scout and invited to their camp, where he impressed the Red Wings Jack Adams, notably with his ability to play ambidextrously. 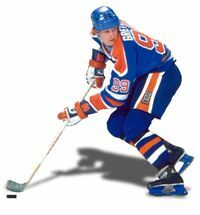 Sticks in those days all had straight blades and Howe could shoot left handed and then switch his stick to the other side for a forehand shot from the right as well. 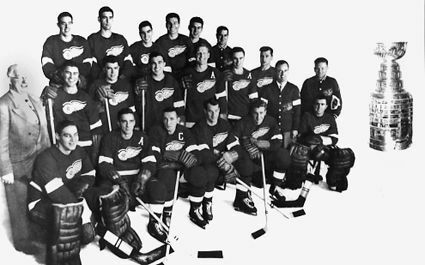 He would play limited games with the Galt Red Wings of the Ontario Hockey Association in 1944-45 and then spend the 1945-46 season with the Omaha Knights of the United States Hockey League where he raised the Red Wings hopes with 22 goals and 48 points in 51 games. Howe made his NHL debut in 1946, wearing #17 and, in 58 games, scored the first 7 goals of what would become a record setting career, including scoring a goal in his first game on October 16, 1946. Not at all confident that he'd stay in the big leagues for long, Howe kept a scrapbook of his first year in the league as future proof that he had actually played in the NHL! 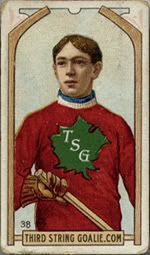 Despite his limited number of goals, Howe, at 200 pounds, was one of the larger players in the league and threw his weight around as he never backed down from a fight. 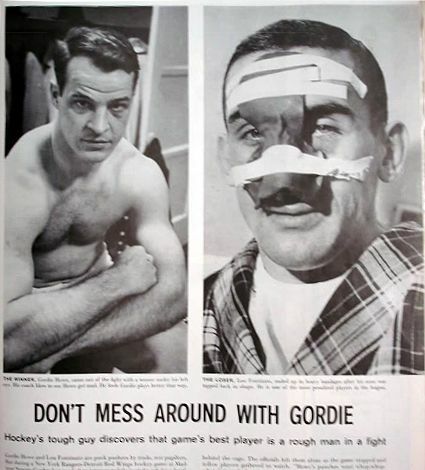 Howe was tested by none other than Maurice "Rocket" Richard during his first game in Montreal and furthered his reputation by knocking Richard out with one punch. 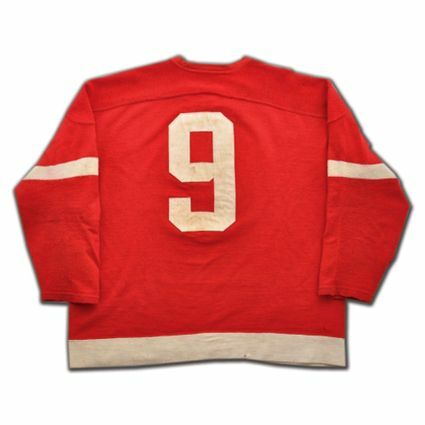 Howe changed to his iconic #9 at the start of the following season of 1947-48 for the purpose of a more preferable sleeping berth on the train while the team was traveling, as the accommodations were more spacious in the lower berths and were allocated based on each players sweater number. Howe later recalled "We traveled by train back then, and guys with higher numbers got the top bunk on the sleeper car. Number 9 meant I got a lower berth on the train, which was much nicer than crawling into the top bunk." The next season gave little indication of what was to follow, as he scored 16 goals and 44 points in 60 games. While limited to just 12 goals in 40 games in 1947-48, Howe was teamed with new linemates Sid Abel and Ted Lindsay. 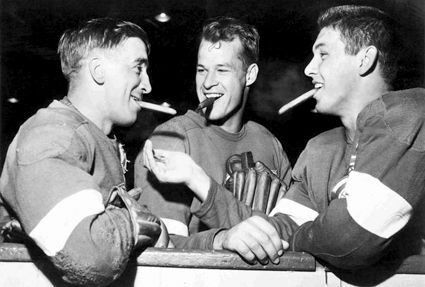 The trio would be dubbed "The Production Line" and would dominate the NHL and lead Detroit to first place in the regular season standings for each of the four seasons they played together from 1948-49 to 1951-52, a span that would include a pair Stanley Cup Championships in 1950 and 1952. 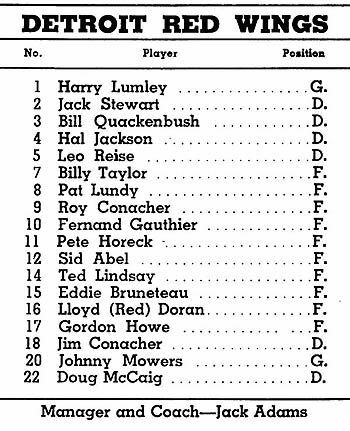 So dominant was the line that they finished first, second and third in league scoring in 1949-50, led by Lindsay's 78 points in 69 games with Abel at 69 points and Howe with 68, 24 more than he had ever had before. Howe would not be around to lift the Stanley Cup in 1950, having suffered a fractured skull when he crashed into the boards after trying to check the Maple Leafs Teeder Kennedy earlier in the playoffs, which required emergency surgery to relieve the pressure. Howe would return to form the following season of 1950-51, scoring 86 points to win the scoring title by 20 points over his nearest competition, Montreal's Richard, the first of seven times he would win the Art Ross Trophy. Howe's 43 goals and 43 assists led the league in both categories and his 86 points were also a new NHL single season scoring record, surpassing Herb Cain's seven year old mark of 82. He would equal his own scoring record of 86 points in 1951-52, this time with a new personal best of 47 goals to again lead the NHL. Detroit would then win the Stanley Cup by sweeping the Toronto Maple Leafs and then Montreal to become the first team to go undefeated in the playoffs since 1935. With league leading totals and new personal bests of 49 goals and 46 assists in 1952-53, Howe not only led the NHL in scoring for the third straight season as he set a new single season scoring record of 95 points, raising his own mark by 9. 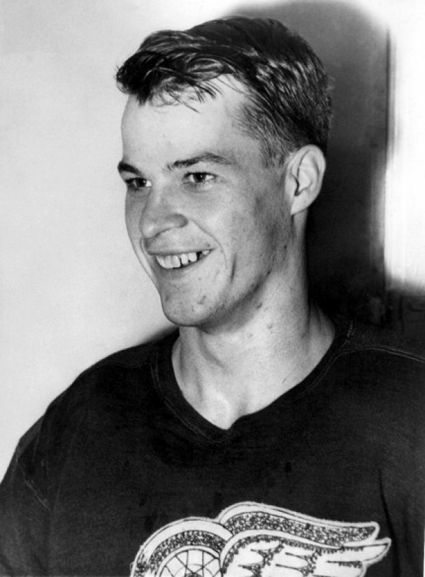 Although his point total dropped by 14 points in 1953-54 to 81, Howe won his fourth consecutive Art Ross Trophy as the NHL scoring leader thanks to a league leading and new personal best of 48 assists. The Red Wings would to on to defeat the Maple Leafs in five games before an epic seven game final against the Canadiens. Detroit led the series 3 games to 1 before Montreal came back to force a Game 7, which was won by the Red Wings in overtime for the third championship of Howe's career. Although he missed six games in 1954-55 after playing in ever game of the previous five seasons, Howe still finished in the top five in overall scoring. He was fully healthy for the playoffs though, and Detroit went back-to-back by winning the Stanley Cup as Howe led the team in playoff scoring with 9 goals and 20 points in 11 games. He would finish second in scoring to Jean Believau in 1955-56 with 79 points before once again leading the NHL in points with a league best 44 goals on his way to 89 points for his fifth Art Ross Trophy in seven seasons. Howe would close out the decade with finishes of 4th, 4th and 5th with point totals of 77, 78 and 73. 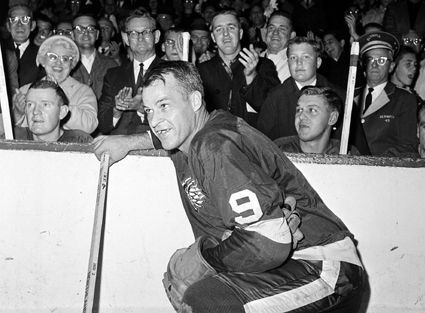 Before the 1958-59 season, Howe was named the captain of the Red Wings, a position he would hold through the 1961-62 season. 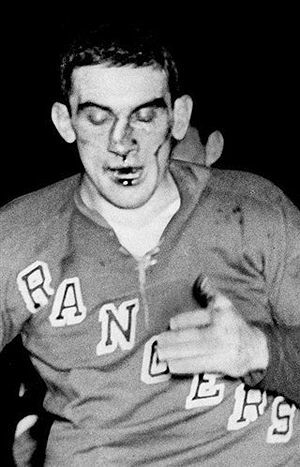 Also during the 1958-59 season, Howe administered one of the worst beatings during a fight in the history of the NHL to the New York Rangers tough guy Lou Fontinato, who had led the league in penalty minutes in both 1956 and 1958. While Fontinato was an inch taller than Howe at 6' 1", Howe was thick as a brick and 20 pounds heavier at 205. 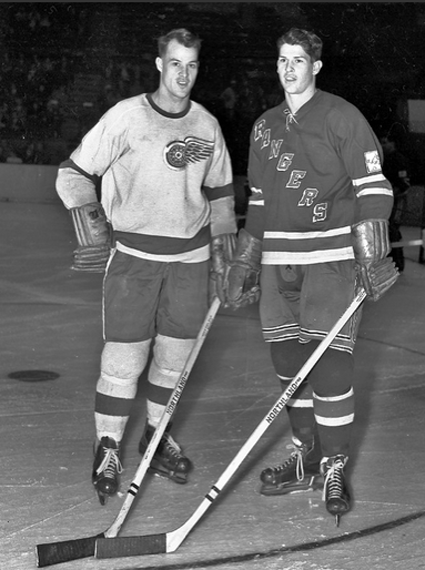 During the Rangers game against the Red Wings on February 1, 1959, rookie Eddie Shack had been riling up the Red Wings as the Rangers built a 4-1 lead over Detroit. Tiring of his antics, Shack was cut by Howe to the tune of three stitches, which caused Fontinato to warn Howe to "lay off Shack and keep your stick to yourself." 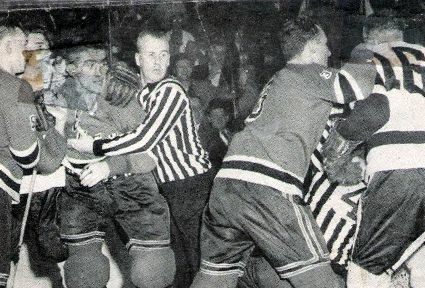 Howe and Fontinato already had a history together, as Fontinato had already split Howe's lip and taunted him in a previous game after which Fontinato nearly had his ear taken off by Howe in retaliation later on, as Howe had a reputation for never forgetting and always settling the score no matter how long the wait for the right opportunity. When, later in the game Shack was in a scrap with Detroit's Red Kelly, Howe joined the fight to help out his teammate Kelly and put Shack in his place when Fontinato came looking for Howe. Fontinato wasted no time in unleashing a fury of punches on Howe. Unfortunately for Fontinato, Howe remained conscious and was now incensed. He grabbed Fontinato's sweater with one hand and fired back repeatedly with the other. 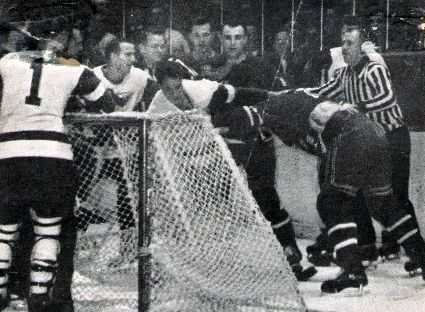 Howe connected with his first punch, which stopped Fontinato in his tracks. Howe's arm was described as "working like a piston" and the sound of his fist hitting Fontinato face again and again in rapid fire made a permanent impression on those who heard it - as well as Fontinato's face - with most descriptions of the blows comparing it to the sound of an axe chopping wood. Detroit's Lefty Wilson was quoted as saying "With every blow you could hear something break - squish, squish. Finally, the Rangers Andy Bathgate jumped in and stopped it." Howe described the incident in his own understated way, "He was coming like a madman. It took me a while to get the gloves off and then things were busy." Fontinato was left with a severely broken nose, now located a fair distance from it's original location. One of the linesmen described it as the worst beating he had ever seen anyone take, which came as a shock to all, as Fontinato was reportedly yet to have lost a fight, including having defeated other noted tough guys Richard and Fern Flaman. 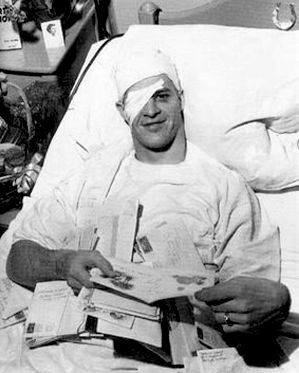 Fontinato actually finished the game, but needed surgery to get his face back in working order, while Howe had actually dislocated a finger against Fontinato's skull while suffering a cut over one eye. Howe dominated throughout the 1950's, accumulating championships and individual awards, winning the Stanley Cup four times in 1950, 1952, 1954 and 1955, the Art Ross Trophy as scoring champion five times from 1951-1954 and 1957, and the Hart Memorial Trophy as the league MVP four times in 1952, 1953, 1957 and 1958. 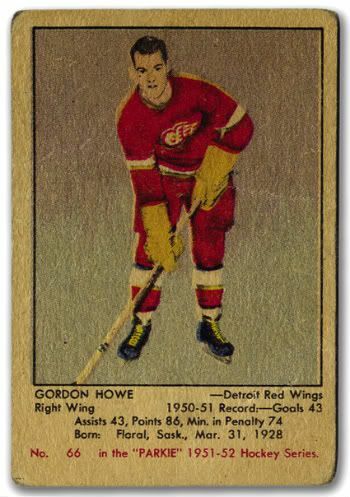 From the 1949-50 to 1958-59 season, Howe played in 688 of a possible 700 games, missing only 6 games in 1954-55 and 6 more in 1957-58 as he played in every game of the other eight seasons. 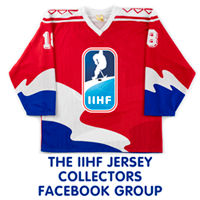 Today's featured jersey is a 1954-55 Detroit Red Wings Gordie Howe jersey. 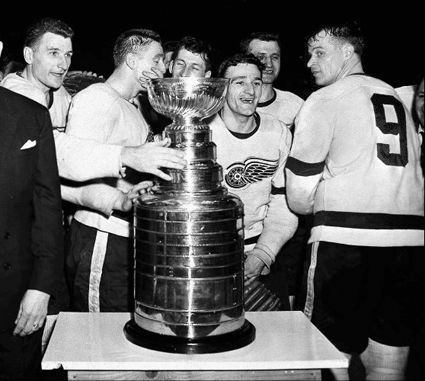 Howe and the Red Wings would win their third Stanley Cup of Howe's career following the 1954-55 season. 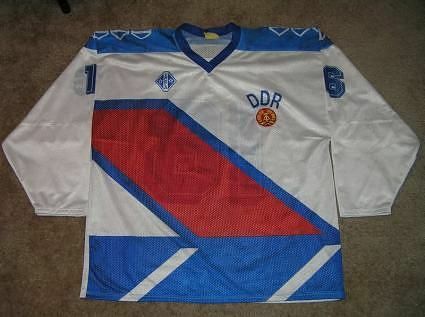 This sweater can be traced back to that era by the lack of sleeve numbers, which did not appear until later thanks to the advent of television coverage. Today's video is the "Legends of Hockey" profile of Howe. Here is an unusual find, Howe on the TV game show, "What's My Line?" being questioned by Hogan's Heroes' Colonel Klink Werner Klemperer and Soupy Sales. Howe's legendary toughness is apparent, as he is unfazed at being interrogated by a Nazi prison camp commandant. Gordie tells Keith Olberman how hockey used to be and to respect your elders. Your tribute to a great man is appreciated. look forward to the next one.